I'm stopping in with my last card for the Warm and Cozy Challenge over at the Die Cut Diva's. A huge thank you to our sponsors Bugaboo and One Happy Cut! I printed my image and colored it in with some distress markers. I then took a circle die to cut out a focal point. 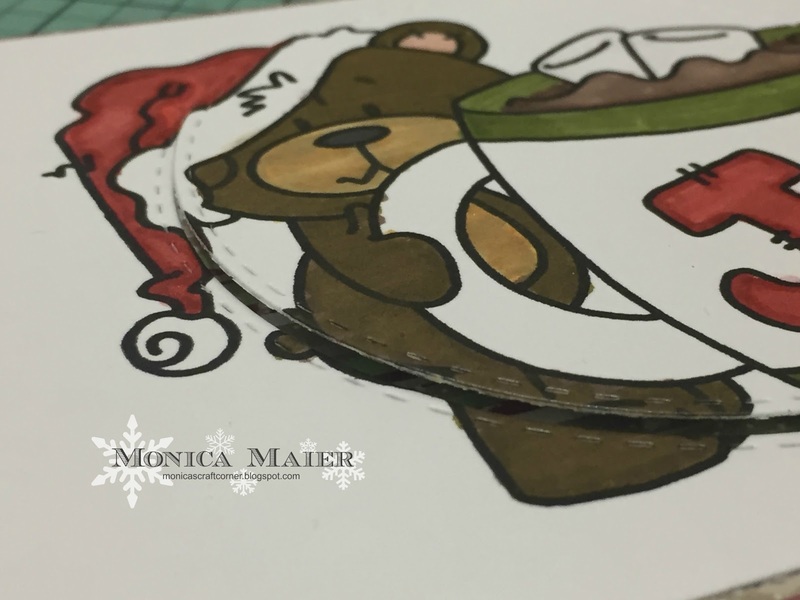 I adhered the colored panel without the circle to my card base. I added the die cut circle with some foam adhesive to give a little dimension to card. Thank you for stopping by and have a Happy New Year! 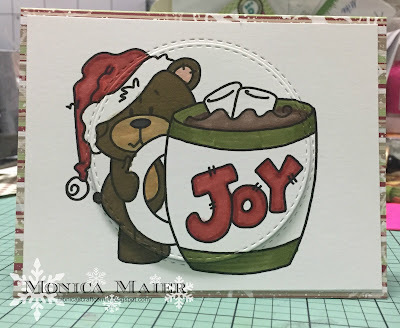 Great design & adorable card!